A federal judge recently upheld a Montana law prohibiting automated political phone calls. But don’t think for a second that will put an end to the annoying robocalls you receive every campaign season. Michigan-based Victory Processing LLC, which operates an automated political phone call system across the United States, challenged the state’s robocall ban in a lawsuit filed last year. The company argued that the law, which allegedly prevented some prospective clients from placing robocalls during the 2016 election year, is a violation of First Amendment free speech rights. In his ruling last week, Judge Charles Lovell of Helena held that the robocall ban is a “constitutionally permissible content-based regulation of speech,” noting that there are many ways to deliver political speech without violating anyone’s privacy. If that’s true, then why isn’t anyone doing anything about the illegal robocalls Montanans continue to receive? In 2016, Montanans were complaining about robocalls promoting Democratic Public Service Commission candidate Mark Sweeney and then-Republican Presidential Candidate Ted Cruz. In 2017, they were receiving pre-recorded voice mail messages promoting then-Republican congressional candidate Greg Gianforte. These are just a few of the latest examples, but the list goes on and on. Montana's former Commissioner of Political Practices Jonathan Motl said Montanans have received robocalls in every election since they became illegal in 1992. Robocalls are classified under the criminal code as “Offenses Against Public Order,” which also include things like animal cruelty, defamation, concealed weapons violations and sexual misconduct. That means local county attorneys are responsible for punishing violators, which isn’t happening because they already have their hands full with more serious crimes. Though the Commissioner of Political Practices has no jurisdiction over federal races, it’s only logical to let this office deal with any illegal robocalls related to the candidates it oversees. 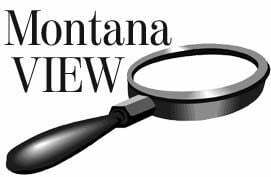 But the 2015 Montana Legislature failed to approve a bill that would have allowed the commissioner to prosecute callers who violated the law in the two months before an election, excluding federal races. Even if anyone is eventually convicted of making illegal robocalls in Montana, the maximum penalty is only $2,500. That's a small price to pay for the chance to influence thousands of Montana voters, and the penalty should cost at least as much as a legal political advertisement. We believe Attorney General Fox was correct when he said Montanans don’t want robocalls in our state. But we aren’t so sure their representatives in the Legislature care enough to do anything about it. Frank Piazzola, 50, was found dead Thursday at the base of the Anselmo gallows frame, according to Butte-Silver Bow Coroner Lee LaBreche.